The SKIPPY brand team recently teamed up with Albertsons’ Vons Southern California division on a program in which the retailer could earn a donation of the iconic peanut butter to the hunger organization of their choice by ordering more shipments compared with the previous year. Through the program, nearly 25,000 jars of peanut butter were donated to people in need in Southern California. The donation was revealed at the San Diego Food Bank’s Day to Donate LIVE Drive last June, hosted at the Murphy Canyon Vons location in San Diego, and received media coverage and publicity on social media for Hormel, the Skippy brand and the retailer. 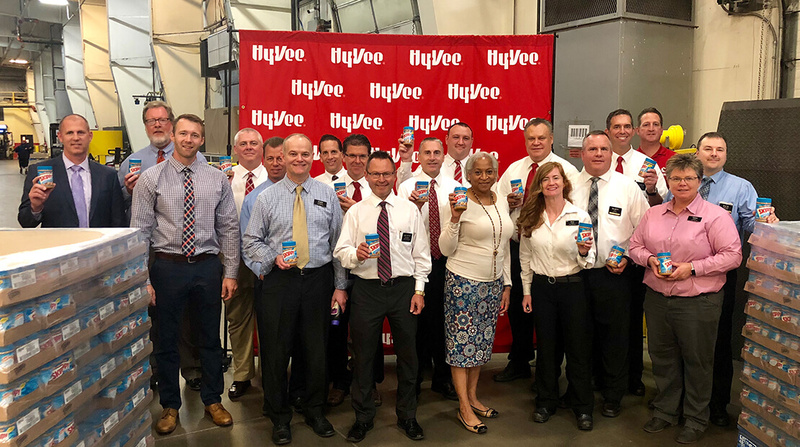 A similar program also rolled out at Hy-Vee in the Kansas City area, in which more than 26,000 jars of Skippy peanut butter were donated this past September to Harvesters – The Community Food Bank, serving northwestern Missouri and northeastern Kansas. Although this was a retailer program that didn’t involve consumer activations, Hormel plans on expanding the initiative next year to include more consumer-facing communication.